What is copyright, how is it created, and what does it protect? 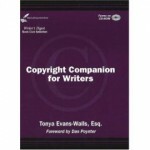 What is a copyright, how is it created and what does it protect? If you have created an original literary or artistic work in some tangible form – in writing, electronic file or on film or canvas, for example – then nothing more is required as copyright is created automatically. So in order for a copyright to exist, you must have created a literary or artistic work that is original (independently created) and tangibly expressed in a form that is actually capable of being copied. Collectively, these rights are often referred to as an author’s exclusive bundle of rights. Copyright in your contribution to a collective work is completely separate and distinct from copyright in the collective work as a whole, and vests initially in you as the author of the contribution. And unless you expressly transfer the entire bundle of rights that makes up copyright or of any of the individual rights in the bundle, the owner of copyright in the collective work is presumed to have acquired only the privilege of reproducing and distributing your contribution as part of that particular collective work, as well as any revision of that collective work, and any later collective work in the same series. Of course, if you sign a contract that requires you to transfer some or all of your rights in your individual work to the publisher of the collective work, you should pay particular attention to whether the transfer is so comprehensive that it prevents even you from using your work for a certain period of time or forever. 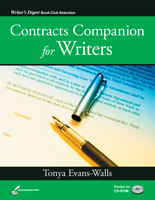 I cover these contractual issues in detail in my books Literary Law Guide for Authors Contracts Companion for Writers. This how-to guide answers the most common questions writers ask about publishing, agency, coauthoring, working-for-hire, and other agreements. Q: When can you use the trademark symbols TM, SM, and ®? When can I use the trademark symbols TM, SM, and ® ? Each time you use your mark, it is best to use a designation with it. If registered, use an ® after the mark. If not yet registered, use TM for goods or SM for services, to indicate that you have adopted this as a trademark or service mark, respectively, regardless of whether you have filed an application with the USPTO. You may only use the registration symbol with the mark on or in connection with the goods/services listed in the federal trademark registration. However, no specific requirements exist as to the precise use of the “® ” symbol as to placement, e.g., whether used in a subscript or superscript manner. Note: Several foreign countries use “® ” to indicate that a mark is registered in that country. Use of the symbol by the holder of a foreign registration may be proper. What is the Poor Man’s Copyright and how can it protect my work? Copyright Tonya M. Evans. All rights reserved. The short answer? It CAN’T. Surprised? The concept known as the poor man’s copyright says basically that you should mail yourself a copy of your work and not open it in order to establish the date that your work existed in case you ever need to defend your work or challenge a work you believe infringes on your rights. This, unfortunately, is a myth that continues to be perpetuated even by established writers and it should no longer exist in the writing world! The Poor Man’s Copyright does not offer any additional protection beyond that which already exists once your idea is fixed and thus your work is created. Additionally it does not constitute a registration of your copyright. Registration is generally straightforward and inexpensive (as low as $35, as of this posting) – a small price to pay to preserve valuable rights. Consider it an insurance policy. For more information about copyright, visit Copyright.gov. Don’t leave your rights to chance. Let our expert LWP legal team register your work with RegisterRight™! What’s the difference between copyright, trademark, and patent? Copyright: A copyright protects an author’s original literary or artistic work, whether published (meaning distributed to the public) or unpublished (not distributed at all or only to a few people). 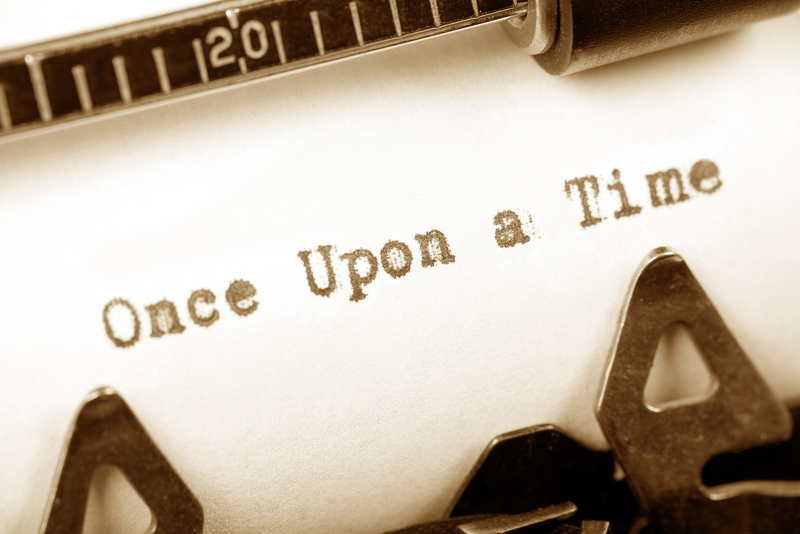 Under copyright law, the term “author” has a special meaning: the creator of an original literary or artistic work. Trademark: A trademark protects a word, phrase, symbol, or device – the mark – used in commerce to identify and distinguish one product from another. Each state has its own state laws to protect intrastate commerce. And the Lanham Act provides protection throughout the country. Unregistered marks are protected under state and federal case law. Service Mark: A service mark protects a word, phrase, symbol, or device – again, the mark – used in business to identify and distinguish one service from another. So for example, every time you see the golden arches you know it identifies products and services from McDonalds. The purpose of trademark law is to avoid consumer confusion so a similar “M” used for a fast food chain would probably constitute infringement. Think “McDowells” in Coming to America. Patent: A patent protects an invention by granting the inventor the exclusive right to exclude others from producing or using the inventor’s discovery or invention for a specific period of time. When you transfer to a publisher the right to publish your work, you should spell out in writing exactly what rights the publisher has acquired. This doesn’t need to be a formal document – a series of e-mails confirming the arrangement is certainly acceptable. But whatever the method of memorializing the deal, it should be clear whether the publisher is acquiring first serial rights, second serial rights (also known as reprint rights), all rights, or whether the publisher has commissioned you to create a work as a work made for hire to be used in a collective work. 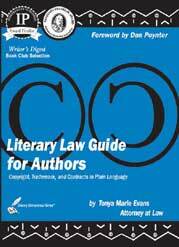 We cover this and other important literary law issues in our series of legal reference guides for writers.